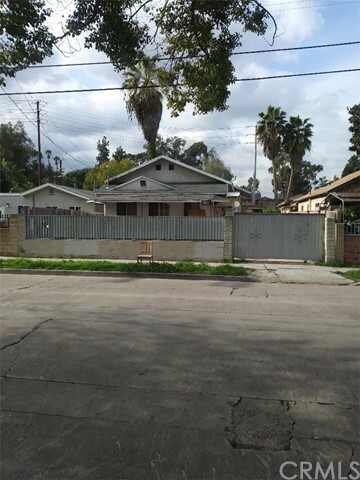 All Glassel Park homes currently listed for sale in Los Angeles as of 04/18/2019 are shown below. You can change the search criteria at any time by pressing the 'Change Search' button below. "A beautiful home , situated near the 2 FWY and 101 FWY . Offers 3 bedrooms and 2 bathrooms. All rooms are wooden floors so cleaning is easy and have bigger windows for substantial lighting. Kitchen and bathroom was recently renovated. Kitchen has center daylight lighting from ceiling making a delightful atmosphere. Outdoor decks and patio is surrounded with greens and very relaxing to spend leisure time with family and friends. Bright and sunny inside , has a perfect orientation. And again absolute privacy ! 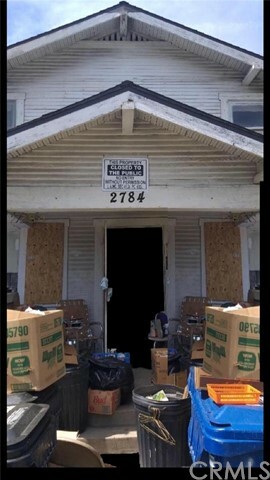 INVESTORS: THIS PROPERTY IS LOCATED IN PRIME LOCATION. WE ARE CURRENTLY ACCEPTING BACK-UP OFFER. CURRENTLY IN REVIEW FOR SHORTSALE SUBMISSION. SYSTEM WILL BE UPDATED ITS STATUS ONCE THE LENDER ACCEPTED AND APPROVED THE SUBMITTED OFFER. THANK YOU FOR YOUR INTEREST"
"CALLING ALL INVESTORS AND DEVELOPERS! Great opportunity to purchase this home zoned LARD2 and turn this blank canvas into something really amazing! Large lot 8,960 sq ft has plenty of room to build. Property features 2 Bedroom and 1 Bath and is over 961 sq ft. Hurry before it's too late!" 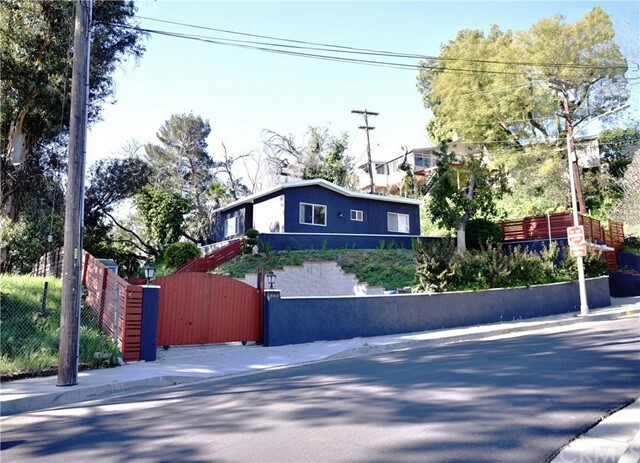 "Very cool, Glassell Park w/ City, Mountain and Hill Views! Circa 1961, this classic move-in POST & BEAM home features 3 bedrooms + 2 baths, open floor plan, large living room w/ front facing balcony, good size bedrooms (master is en-suite and opens to private patio), spacious eat-in kitchen with leather banquette and a wrap-around patio that opens to a large gazebo, ideal for entertaining, dining or just hanging out.Add'l features include gorgeous hardwood floors throughout, painted wood paneled ceilings, wood post and beams, original architectural details, central heat & a/c, two car garage w/ EV hook up. 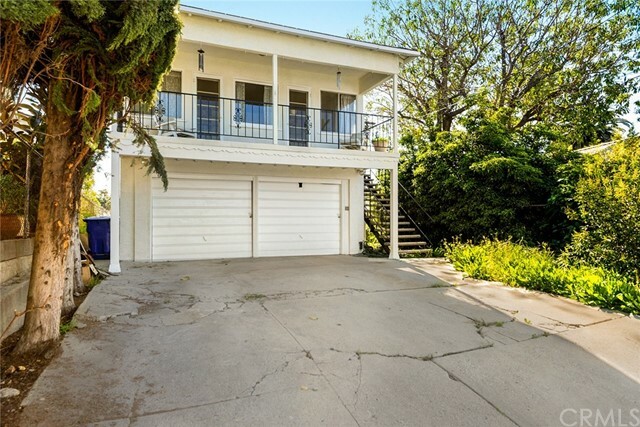 Ideally located off Eagle Rock Blvd and Avenue 40, minutes to Habitat Coffee Shop, Target, parks, post office, restaurants, shops, liquor and wine stores." "The dream - to put down roots in a neighborhood where everyone says hello, where neighbors look out for each other, and there is a yearly block party. Is it possible in LA? Yes! The owners of this midcentury traditional home have spent 30+ years living the dream and now it's time for a new owner to settle in. Wonderfully maintained, this home is an easy one to settle in to. Make the updates you want, knowing that there is already copper plumbing, updated electrical, newer water heater, & more. The kitchen & baths are charming, or you can live with them while you peruse Pinterest for your future updates. The open living room/kitchen/dining area flows out to a covered patio, perfect for al fresco dining & hosting summer barbecues. And then the real surprise - an orchard with citrus, avocado, persimmon, and much more! Conveniently located, it's an easy jaunt to Target and the shops and restaurants in Highland Park & Eagle Rock, or jump on the freeway for adventures downtown and beyond!" "Investor Opportunity with great potentials. This is a TRUST Property so no probate or court delays. No guarantees or warranties of any kind. Buyer and buyers agents need to do all due diligence. This house was built almost 100 years ago, with some upgrades. Centrally located in the heart of area surrounded by Glendale, Eagle rock, Highland Park, Pasadena, Burbank, Down Town LA. Close to the Freeways 2 , 134, 5 and 210.. Hiking, nearby shopping centers and fine dining at Eagle rock, Atwater, Silver Lake and Highland Park DRIVE BY ONLY. General clean up in progress." "Secluded within a private gated courtyard, be the first to own and live in this new home. Modern Mediterranean in the heart of Los Angeles surrounded by Glendale, Eagle Rock, and Silverlake, minutes from the Americana, Galleria, Whole Foods 365 and a new Target - be a part of this rapidly evolving part of L.A. Featuring an open floorplan, hardwood floors and an abundance of natural light, relax in a living room anchored by a fireplace, and transitioning to a large open kitchen and a spacious open family room. Ascend upstairs to three bedrooms and two baths, with a generously proportioned master bed and bath. The additional room on the first floor can double as either a den or additional bedroom. Surrounded by a landscaped patio, and a spacious courtyard surrounded by large trees, perfect for entertainment or just relaxation. With city views of L.A. and beyond, don't miss this rare opportunity where a new home in the heart of L.A. does not have to mean shared wall apartment condos." 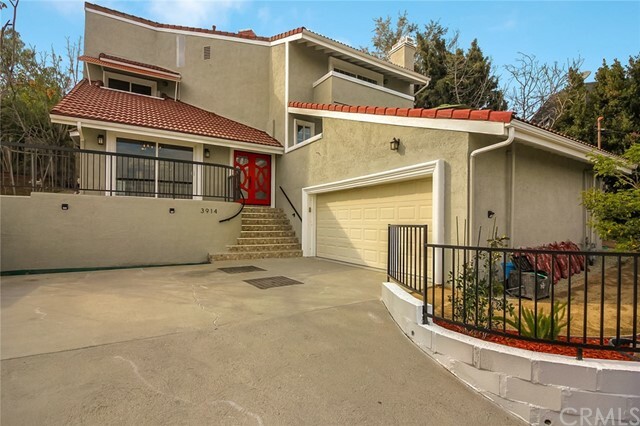 "A rare opportunity to own a tri-level, contemporary modern, spacious townhome in gated community in trendy Glassell Park. This newer construction home (built in 2014) boasts many features: high 10 ft ceilings, open layout living/dining, modern white kitchen, island, quartz counters, vinyl plank floors, and large 2 car garage. There are 4 spacious bedrooms - ensuite on 1st level (ideal for guest/office); 3 more bedrooms on 3rd level. The Master has walk-in closet, large bath/Rm, dual vanities, quartz counter, larger tub, separate shower. Energy efficient features: windows and tankless water system. a mini-park and dog run. The townhome has its own dog-run and is central to Eagle Rock, Highland Park and Atwater Village. Nearby cafes/ restaurants include Habitat Coffee, Lemon Poppy Kitchen, Verdugo Bar. This turnkey, contemporary designed home includes all appliances. Easy access to LA downtown commute, Pasadena and Hollywood entertainment areas. Make an offer & don't let it get away!" "Be the first to own and live in this new home. Modern Mediterranean in the heart of Los Angeles surrounded by Glendale, Eagle Rock, and Silverlake, just minutes from Downtown L.A. and Pasadena, with shopping and dining at the Americana, the Glendale Galleria, Atwater Village, including Whole Foods 365 and a new Target - be a part of this rapidly evolving part of L.A. Within a gated courtyard, upon entering this home, featuring high ceilings and an open floorplan, hardwood floors and an abundance of natural light, relax in a living room anchored by a fireplace, and surrounded by your own private patio and yard. Ascend upstairs to four bedrooms and two baths, with a generously proportioned master. 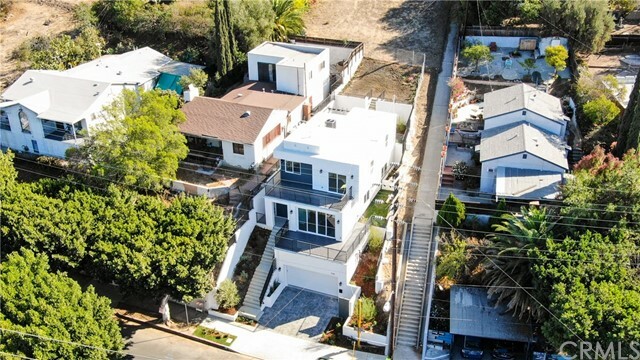 With city views of L.A. and beyond, don't miss this rare opportunity for a new private detached home where a new home in the heart of L.A. does not have to mean shared wall apartment style condos." 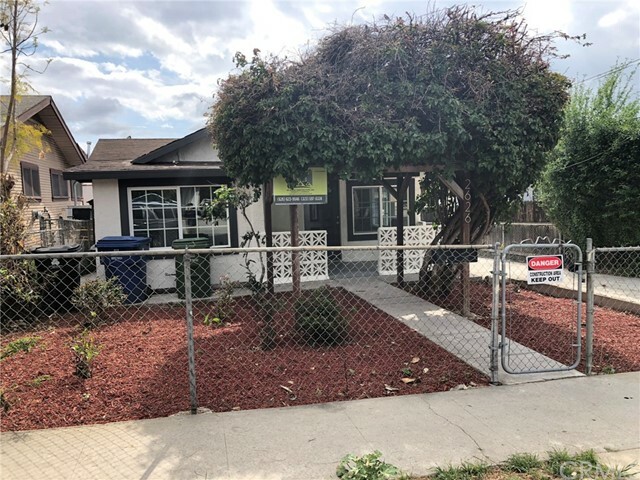 "Newly renovated single family home that is move in ready! Interior features new paint, new flooring, recessed lighting, 2 bedrooms and 1 bathroom. Kitchen features new cabinetry, bar seating, and quartz countertops. Exterior features include large front yard with new sod, new paint, wood accents and window shutters, privacy fencing, mature trees, and covered patio. This is a MUST SEE! 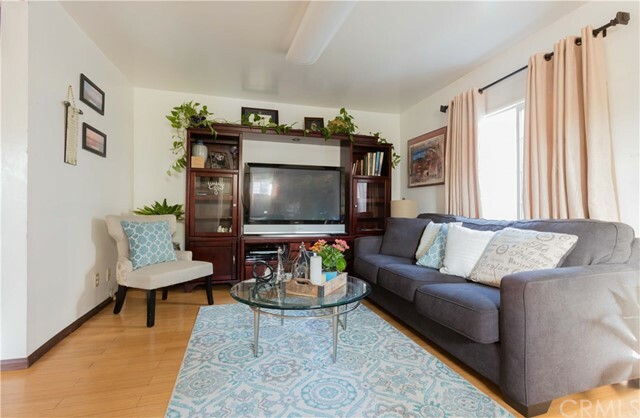 Located near Glassell Park, within walking distance to Rio De Los Angeles State Park, Elyria Canyon Park, just minutes away from Dodger Stadium and Downtown LA, schools, shopping, dining and convenient access to the 2 and 5 freeways." 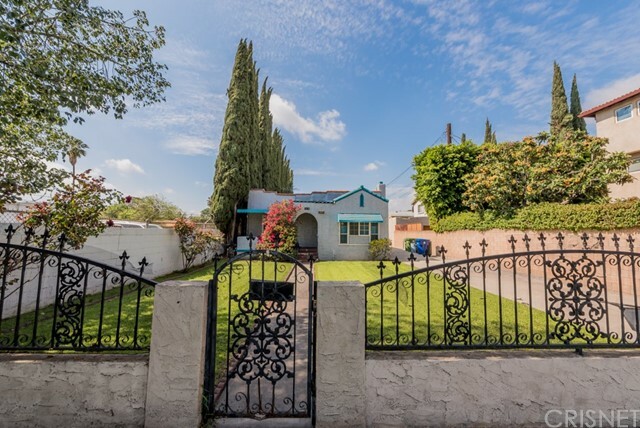 "Opportunity awaits at this wonderful Glassell Park home situated on an oversized 8,804 sq ft lot. 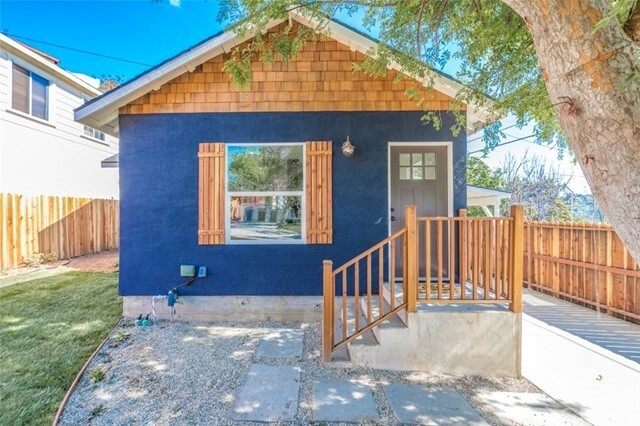 With most of the lot being flat, there's plenty of space for a potential Accessory Dwelling Unit (ADU) for a buyer looking to create extra income. The house offers an excellent floor plan consisting of a spacious family room, dining area, kitchen with breakfast nook, and 3 good sized bedrooms. As a bonus the basement has been finished creating extra space. The basement or the detached one car garage are ideal for anyone looking for a home studio or office space. Lastly, if you appreciate outdoor space, you're certainly going to love this yard. The possibilities are endless with the expansive space it offers. This is the first time the property has been on the market in over 50 years!" "Recently updated home at the heart of Glassel Park! You will love this charming 3 bedroom home and two baths home. This natural home offers a pleasant positive flow of energy as you enter the living room with a fireplace, hardwood floors, high ceiling, and large window that lets plenty of morning lights in. A large kitchen with granite counter top has earth tone glass backsplash, stainless steel appliances, with lots of wooden cabinets for lots of storage that a culinary chef would love. This house has two updated spacious bathrooms, 3 well lighted contemporary bedrooms, (3rd bedroom can be converted to an office room). Enjoy the spacious outdoor deck for your morning coffee or afternoon tea. Enjoy a private BBQ party with your friends/family at the back patio. One 8x10 storage shed that can be used as exercise room, and another 8x10 storage shed at the end of extended driveway for extra storage. The beautiful landscaping welcomes you when you drive in the automatic gate, to the extended driveway which can accommodate up to 6 cars. Detached garage converted to a sound proof for creative/recording artists can still be used as a car garage. ...Minutes to shops and restaurant...."
"Single story, 4 bedrooms 1 bath (2 befrooms non-permitted) with wall window A/C in each room. Property has an Attic. 3 car driveway spaces. Vinyl tiles in Living Room, Dining and kitchen. 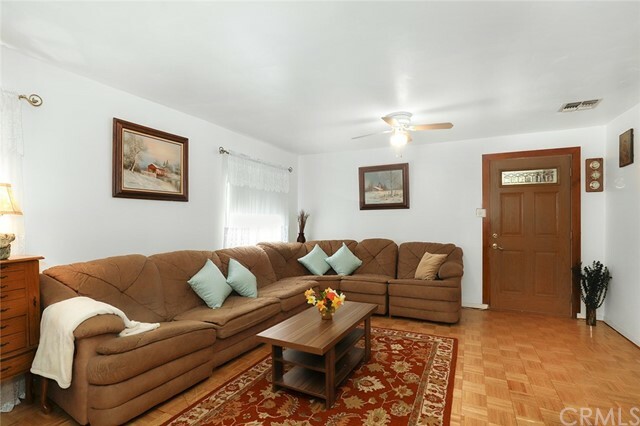 All 4 bedrooms are carpeted." "Amazing Location. 3bedroom 1 bath Main home. 1bed 1bath Guest House in the back. Amazing View"
"Unique opportunity to own a classic Los Angeles Bungalow Court home - this rarely for-sale cottage is a special place to hang your hat and join a community. This architecturally significant and beautifully updated bungalow sits on a gently sloped half acre lot in the foothills of Mt. Washington and was originally built and owned by an Italian craftsman in the 1920's. This mint-renovated Bungalow is our largest. Finishes include custom-designed kitchen and baths, custom wood cabinetry, quartz counter-tops, high-end decorative tile work, stainless steel appliances, washer/dryer, decorative fireplace, two car side by side parking, Huge Storage Garages and a community garden. Located near the LA River, hipster locales Swrve, Verdugo Bar, and D3 Caf . A quick commute to Silver Lake, DTLA, Hollywood, Burbank and Pasadena." 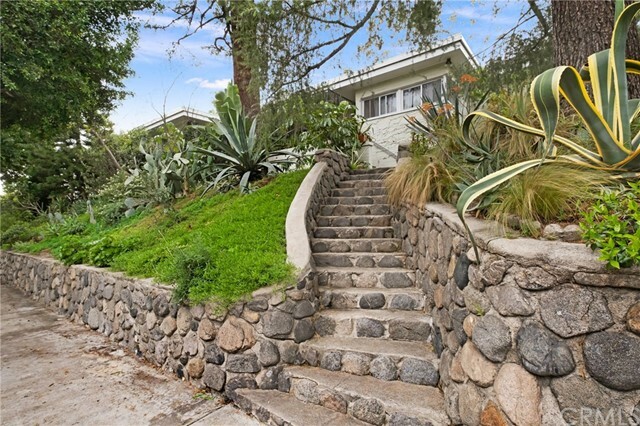 "Unique opportunity to own a classic Los Angeles Bungalow Court home - this rarely for-sale cottage is a special place to hang your hat and join a community. This architecturally significant and beautifully updated bungalow sits on a gently sloped half acre lot in the foothills of Mt. Washington and was originally built and owned by an Italian craftsman in the 1920's. This mint-renovated Bungalow has a private yard, balcony with mountain views and three storage garages. Finishes include custom-designed kitchen and baths, custom wood cabinetry, quartz counter-tops, high-end decorative tile work, stainless steel appliances, washer/dryer, decorative fireplace, two car side by side parking, private yard and a community garden. Located near the LA River, hipster locales Swrve, Verdugo Bar, and D3 Caf . A quick commute to Silver Lake, DTLA, Hollywood, Burbank and Pasadena."